There are lots of girls named Helen. 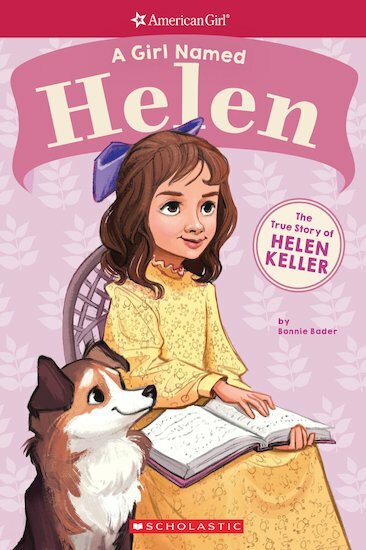 So what was different about Helen Keller, the subject of this fabulous American Girl biography? Well – lots of things! When Helen was a little girl, an illness left her blind and deaf. Can you imagine that? Her bright, busy world suddenly turned dark and quiet. Luckily, Helen’s parents didn’t give up on her. They hired a young teacher, Anne Sullivan, who showed Helen how to explore the world around her. With Anne’s help, Helen become a world-famous speaker and author, calling for the rights of disabled people, women and the poor. How inspiring is that?